The Willenhall Euro Profile Mortice Sash Lock Case EP1 is another option for a narrow styled Mortice Lock Case. 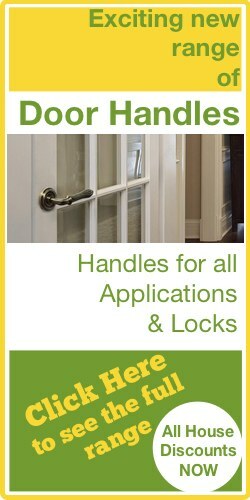 This Lock Case is more designed for wooden door applications like French Doors and Patio Doors. 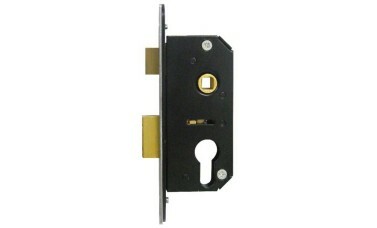 Deadbolt is locked or unlocked from either side by key using euro profile single, double or cyl and knob. Hi, guys. My name is Darrel and I'm the head of the tech team here at LocksOnline.co.uk. Thanks for taking some time to tune in and have a look at one of our product review videos. 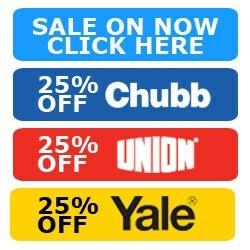 The product we have here today is a sash lock. It's made by Willenhall. It's the EP16 sash case. And it's a Euro profile sash case, and here's the actual lock here. 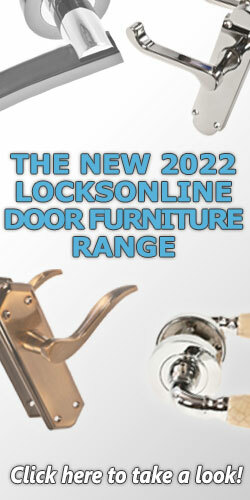 Now, one of the distant advantages with this particular lock is that the locking style can be narrow. In other words, the actual lock case itself is quite narrow. In fact, if I actually measure this, it is only actually 50 mm, okay? So that's the actual distance of that. So that's only two inches deep there. So there was a range of aluminium doors many, many, many years ago, probably John Carr is the make that used to use this typical type of lock in it. Now I'm not suggesting that this is a direct replacement, because some of them did have a thinner faceplate on the front. One of the distinct advantages that you will see on this particular one is that the actual faceplate there, or the actual plate of the actual lock itself is quite thin, and then the outer faceplate there is a little bit wider. So what you may find is that if we can get these centres to fit in your door, maybe simply by filing down the sides here a little bit, you might be able to get this lock into your door as a replacement. So what I'm going to do now is I'm going to get some measurements, because you're going to pop up to your door and if you need to replace it, replace the lock, but it may be that you could get this to work in your door. So as I mentioned, the actual size of the lock case is 50 mm, that's pretty standard. The actual size of the actual backset there is, I'm going to say it's about 31 mm, maybe 32 mm to the centre. Yeah, 31, 32 mm to the centre there. The PZ measurement, that's the distance between the centre of the follower and the centre of the keyhole, that there is 47 mm, I'm going to suggest. About 47 mm there. The width of this black back faceplate here, the actual lock case plate, that there is, get a measurement on that, that's going to be 19 mm, guys. And the actual stainless steel faceplate there, that's 25 mm as standard. The centres, that's the locking centres between that screw hole and that screw hole. I'll try and get the best measurement I can on that for you. We're coming in at around 140 mm, okay? And the forend length all the way, all together, that there is 152, maybe 153 mm in length. Now obviously the principle is pretty standard. You've got the follower here that would accept a pair of handles, and that would operate the latch here like normal. And then you'd have a Euro profile sundering here which would obviously operate the draw deadbolt. One of the distinct advantages also with this lock, I don't know if you can zoom in there for us, Lee, but you can see in there, you've got some little roller bolts, and the idea is that if somebody tried to hacksaw the bolt off, when they hit those little roller bolts, then the hacksaw blades would roll over those and it's going to take a month of Sundays to try and actually hacksaw through those hard steel roller bearings that are sitting in there. So there you go, guys. It comes as standard with a faceplate as well. Sorry, with a keeper striking plate there, which you may find will also fit under your frame no problem at all. That's one of the things you may need to check or it could work in conjunction with the existing one. Another measurement that I will take as well, which could be handy for you, is the distance from the height there, to the bottom of that bolt. Just to make sure that your holes may be in the right place as well. And I'm getting a measurement in there of 77 mm from there to there. So there you go, guys. It's the Willenhall EP16. You may find that it may suit some of the old John Carr style aluminium doors from back in the early ‘80s, and right through the period of the ‘80s, probably the late ‘70s as well. And obviously it has its distinct advantages being for a narrow style door, like I said, French doors or a set of patio doors, etc., as well. 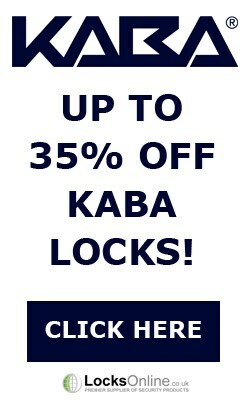 So there's lots of benefits for this particular type of lock. It's small, it's petite, and it's incredibly functional. But if there's something there that you need to know a little bit more information about, or you're not quite sure or I haven't mentioned something that you may want to know about, use live chat on our website. That's great. You can chat with me or any of the guys on the team. We're all knowledgeable on that. That's totally free. You can pick up the phone and give us a call, or just pop us over an email. Either way, we'd love to hear from you, and more importantly, we'd love to see you as a customer. So from me, Darrel, and all of us here at the LocksOnline team, take care and we'll catch up with you real soon. Take care now. Bye, bye.